While her central practice is drawing, Yu-Chen Wang works across narrative, installation, performance, music, and film. Wang’s practice asks fundamental questions about biological and mechanical forms and human identity, at a point in history where eco-systems and techno-systems have become inextricably intertwined. At the same time, her Taiwanese origins, combined with a London-based career, have created a vision that is personal and autobiographical. 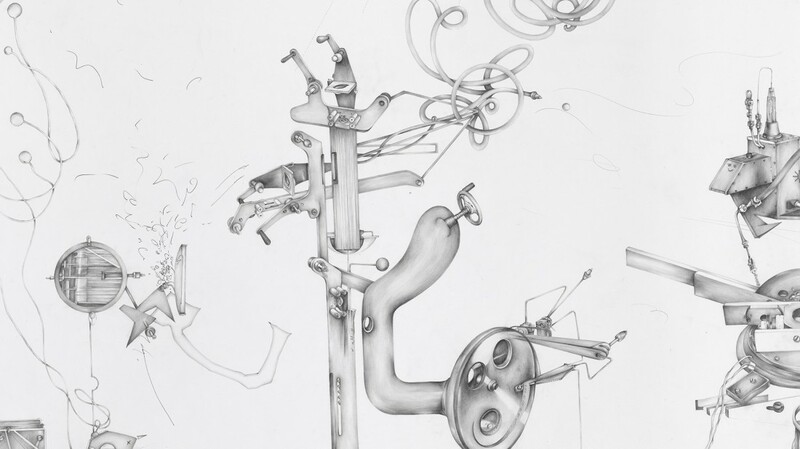 Her central practice is drawing, allowing her to explore and meditate on mechanical and biological forms, and the ways in which their bodily borderlines blur and mutate. From these extemporisations, she then finds collaborative routes that take her work into the realms of fictional text, provoking the subsequent production of sculptural installation, performance, music, and film, in various combinations. She has exhibited internationally, including at Hayward Gallery, Barbican Centre, the ICA, Camden Arts Centre and Drawing Room, London; Manchester Art Gallery, Museum of Science and Industry, CFCCA and Cornerhouse, Manchester; Taipei Biennial and Taipei Fine Arts Museum, Taipei; Seoul Museum of Art, Seoul; FACT and Metal, Liverpool; FRAC Nord-Pas de Calais, Dunkerque; La Centrale Galerie and Galerie L'Oeil de Poisson, Quebec City. As part of the Collide International Awards, a partnership programme between Arts at CERN and FACT, her work is exhibited at Broken Symmetries, FACT, Liverpool until March 2019 following a two-year EU touring to CCCB (Barcelona), Le Lieu Unique (Nantes), iMAL (Brussels). The Spring 2019 Tuesday Talks series also features Chris Drury, Imogen Stidworthy, Katrina Palmer, Louise Giovanelli and Vivian Greven. Developed as part of the Collide International Award, a partnership programme between Arts at CERN and FACT, and was co-produced by ScANNER.